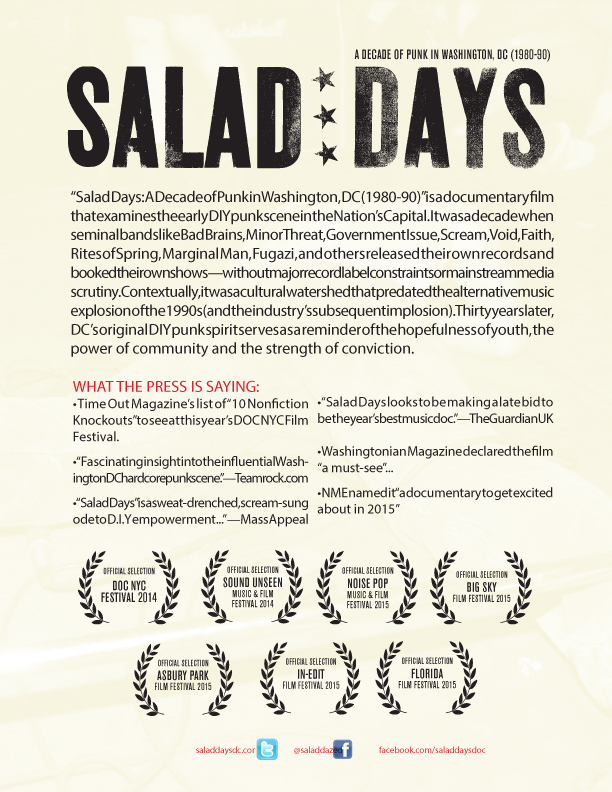 “SALAD DAYS: NOT PUNK. 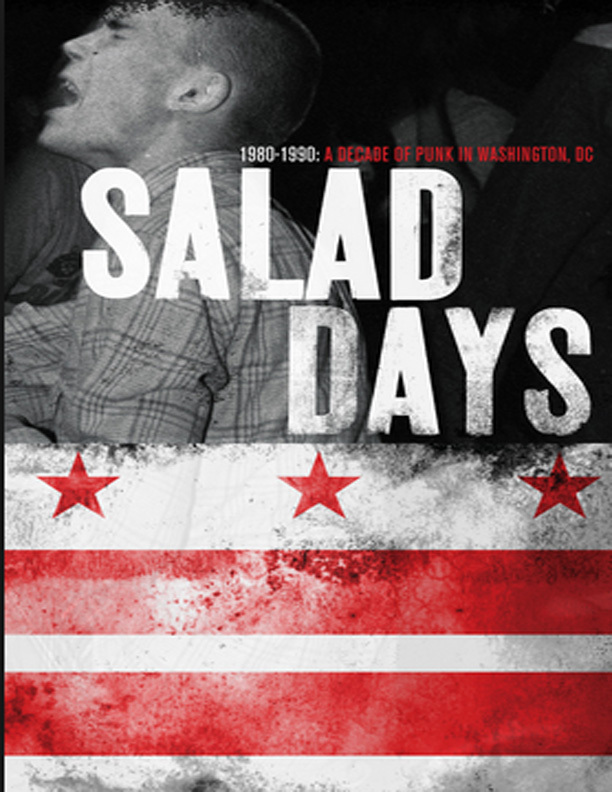 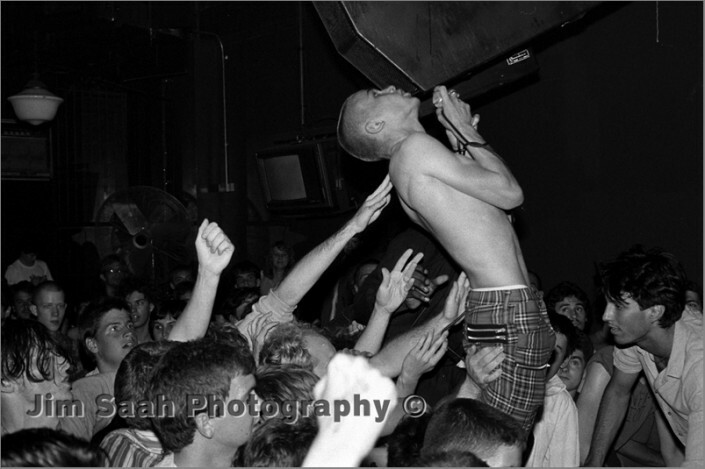 HARD.C.ORE PUNK” examines the early DIY punk scene in D.C. 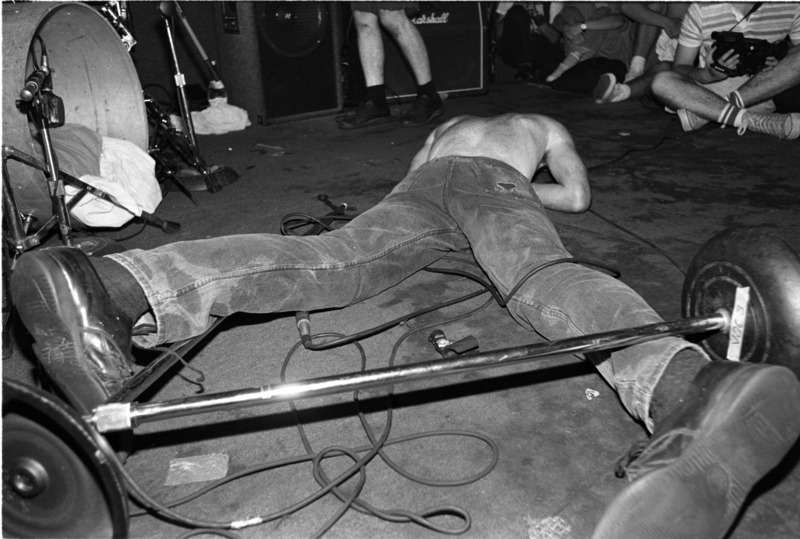 It was a decade when seminal bands like Bad Brains, Minor Threat, Government Issue, Scream, Void, Faith, Rites of Spring, Marginal Man, Fugazi, and others released their own records and booked their own shows—without major record label constraints or mainstream media scrutiny. 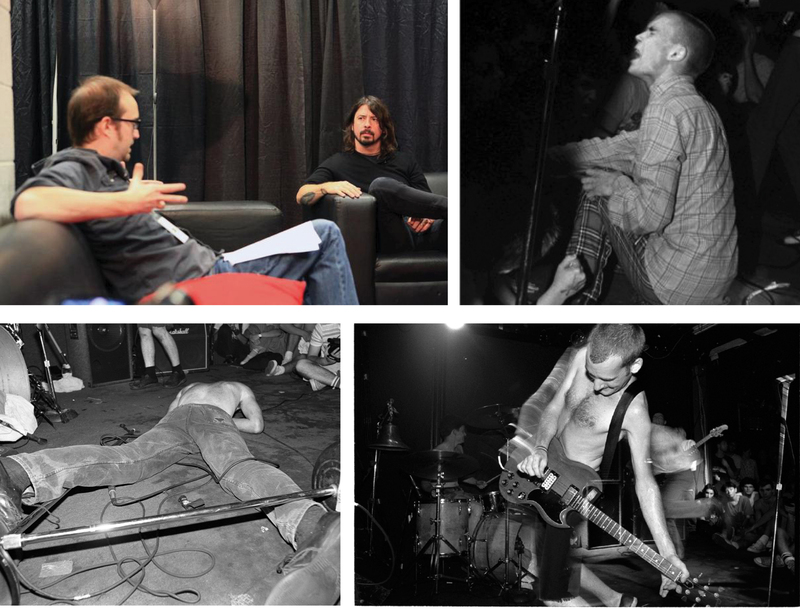 Contextually, it was a cultural watershed that predated the alternative music explosion of the 1990s (and the industry’s subsequent implosion). 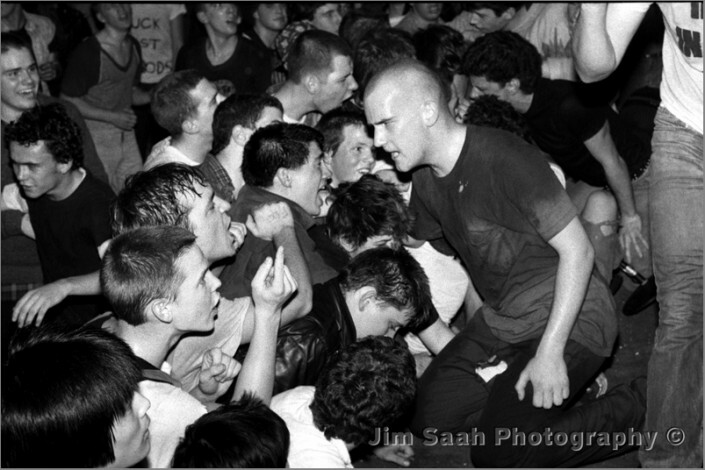 Thirty years later, this DIY punk spirit serves as a reminder of the hopefulness of youth, the power of community and the strength of conviction.